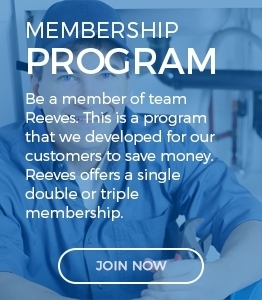 Reeves Plumbing & Heating is family owned and operated and strives to produce the best quality residential and commercial plumbing, heating and air-conditioning services in the entire area. Reeves also gives back to the community by doing all of the plumbing for Habitat for Humanity. We do roughly two houses a year and feel it is the least we can do for our neighbors. From hard work and dedication our company has grown to be the leading Plumbing & Heating company in our area.